What Are The Differences Between Virtuoso And Amex FHR? While hotel loyalty programs in and of themselves can be extremely rewarding, there are many ways to get additional perks for stays at luxury hotels. In many cases these are perks at hotels which don’t otherwise have loyalty programs (like the Sunset Tower Hotel West Hollywood), so these perks are as good as they get. The idea is that luxury hotels do everything they can to avoid discounting rates, since they don’t want to diminish the perceived “value” of their offerings. But they’ll do just about anything else to attract guests, from offering added amenities (free breakfast, food & beverage credit, upgrades, etc. ), to offering a third or fourth night free, for example. I’ve written extensively about some of these programs, including American Express Fine Hotels & Resorts and Virtuoso. I figured it would be interesting to do a side-by-side comparison of the two programs. For those of you already familiar with the programs, by all means skip this post, though I do get a lot of questions about them. The American Express Fine Hotels & Resorts program is available to those with The Platinum Card® from American Express and The Business Platinum® Card from American Express, and offers added perks at over 815 hotels around the world. On top of that there are sometimes offers where you can get the third or fourth night free (when I want free nights the Citi Prestige® Card perk is still my go to option, though). The great thing is that you can search rates and make bookings directly through American Express’ website. While the perks are great, you’re not really getting much in the way of personalized travel planning, which is great for those of us who like to plan our own travels. If you just want to book a hotel with great perks, this is tough to beat. You don’t need a specific credit card to book through Virtuoso, but rather need to find a Virtuoso affiliated travel consultant, all of which are listed on Virtuoso’s website. You can’t typically make Virtuoso bookings online, so you’ll be dealing with a person, which can be a blessing and a curse. It’s a bit of a curse because it’s not as easy as just logging onto a website and booking. But it’s a blessing because you also get the “human touch.” If you’re celebrating something special or have special requests, your advisor may very well have contacts at the hotel, and can help make the stay special. In general travel advisors aren’t going to charge you a fee if you’re simply wanting to make a hotel booking (they get a 10% commission on most bookings, so they’re making decent money for a couple of minutes of work). But if you want help with more complex travel planning, these advisors can add a ton of value, though also expect them to charge a fee. Katie recently wrote about the value of having such an advisor, especially one who is a specialist in one region. Do I prefer Virtuoso or Fine Hotels & Resorts? The first thing worth noting is that a lot of the properties between the two programs overlap, though not all. For example, the Westin Grand Frankfurt is an Amex Fine Hotels & Resorts property, but not a Virtuoso property. So I recently booked through Fine Hotels & Resorts for my stay there, which scored me an 85EUR food & beverage credit, among other perks. Even among matching hotels, the amenities offered can differ. One distinction is that Fine Hotels & Resorts comes with guaranteed 4PM check-out, while with Virtuoso it’s based on availability. Beyond that, the unique property benefit often differs. For example, at the Ritz-Carlton Marina del Rey, the Amex FHR amenity is a $100 food & beverage credit, while the Virtuoso amenity is a full day bicycle rental for two or a one hour tennis lesson. If you tend to stay at luxury hotels, Amex FHR and Virtuoso can add a lot of value. Of course you’ll always want to crunch the numbers and see if you’re better off booking a promotional rate or going with the flexible rate, which comes with the above amenities. In many ways the Citi Prestige® Card fourth night free benefit has somewhat reduced my use of Virtuoso and Fine Hotels & Resorts, given that it allows you to get a fourth night free even on pre-paid rates. I’ve found these programs especially useful for short stays, since the property specific amenity is on a per stay basis. In other words, a $100 food & beverage credit is a lot more valuable on a one night stay than on a seven night stay, in terms of the proportional value you’re getting out of the perk. Do you use Amex FHR or Virtuoso for your hotel bookings, and if so, which do you prefer? I’ve tried to book FHR at least 50 times, and only once have I found that it was worth it vs a flexible rate with coupon on Hotels.com, CheapTickets, Orbitz, etc. Even with the credit and the value of breakfast added in, almost every time FHR is significantly more expensive. The only time I have found it worthwhile to book on FHR is when there is a free night available, but the date restrictions make those hard to get as well. My recent observations are that some FHR rates are actually higher than the flexible rate, whereas Virtuoso seems to match the flexible rate quite consistently. While it is generally true that FHR benefits only apply to the flexible rate, it never hurts to ask the AMEX agent to call the hotel and see if they are willing to grant the benefits on a prepaid rate. Same is true for Virtuoso. Doesn’t work all the time, but still worth asking. My success rate is probably somewhere around 30-40%. I find this statement a little disappointing: “You can’t typically make Virtuoso bookings online…” Anyone can easily make Virtuoso bookings online at classictravel.com. They have a solid website where you can search for properties quickly and easily, book reservations, and even cancel reservations–all online. Why is that disappointing? You’ve written about Virtuoso numerous times, but never mentioned classictravel.com. Your readers have posted about it in the comments several times (that’s how I found out about it). I don’t know why you aren’t talking about it, but it feels like you’re intentionally leaving out this information. I can’t really see a reason for that, but I do see that you mentioned another Virtuoso-affiliated travel agent in your post. I get that you have friends that are travel agents who you’d rather make your Virtuoso bookings through, but for the rest of us, classictravel.com can be a great resource. (1) Saying Virtuoso only has access to 1108 individual preferred hotels is an understatement – that doesn’t take into account the thousands of additional properties that we have access to through the 48 preferred hotel chains and dozens of preferred wholesalers (who contract with thousands of properties) that also offer similar benefits to our clients (upgrades (STA), breakfast, early check in / late checkout (STA), $100 amenity, ground transfers, etc.). Even if a property is totally outside the “network” I’ve got a pretty good track record of convincing them to throw in some amenities for my clients (any good advisor would do the same). All told, our coverage of properties is many many times that of FHR (probably more than 5x). (2) The personal touch is real and can get you additional benefits. I’ve personally met more than half of the General Managers of those 1100 hotels mentioned above (this is not unusual for a virtuoso advisor). All advisors have the opportunity to get together once a year to network with suppliers. If you’re celebrating something special, I would call the GM in advance to make sure you would be taken care of at the property. In fact, I just did this with the InterContinental Danang. Most good advisors would do the same. (3) Many (maybe most?) Virtuoso advisors do not charge any fees at all (e.g. I don’t charge any). Instead we rely on the commission you mentioned. It’s actually rare to find advisors that charge planning fees. The commission is much less than a hotel would pay an OTA like Priceline so they are happy to partner with us. My personal approach – for 1 or 2 night stays, virtuoso/FHR is a no-brainer (especially 1 night! ), for 3 nights I do the cost-benefit on the prepaid rates vs virtuoso rates (which I find to be more competitive than FHR rates), and at 4 nights I do the math on Citi Presitige to see if that’s better. For 4 and 5 night stays (sometimes even 3), a lot of times Virtuoso (and FHR) can also get a free night thrown in, which can tip the scales back. @Daniel – great point. Some advisors even use it for quick price checks. However you should know that they only have coverage for about 70-80% of the inventory so while directionally helpful, they won’t have all the properties listed in a given market. Also, booking that way would eliminate the benefit of the personal touch I mentioned above where it is usually advantageous for you to be flagged for the GM as a VIP in advance of your stay. I have been booking Virtuoso hotels online at http://www.classictravel.com for years. They seem to be the only place that lets you book online without having to speak to anyone. I usually end up comparing between them and Amex Fine Hotels & Resorts to see which amenities are offered and what the rates are. Do you still recieve Spg points and nights when you book through these sites? How does one contact you? “On top of that there are sometimes offers where you can get the third or fourth night free (when I want free nights the Citi Prestige® Card perk is still my go to option, though).” Why???? IF Amex FHR offers a 3rd or 4th night free it is a no-brainer to use their services instead of Citi Prestige. Here is why: You book online and does not need to call Citi concierge; you actually get a free night on the spot with Amex FHR while with Citi Prestige you have to pay and they will reimburse you within 2 billing cycles; you get all the extra benefits by booking through Amex FHR while you get nothing if you book with Citi. Thus, not sure why you said you would go for Citi if Amex also offers a 3rd or 4th night free which I got several times. @virtuoso eric Would you share your email or your username on FlyerTalk? @Beachfan @gill: I have to agree that not all the properties are offered by Amex FHR and their rate are not going to be the AAA rate but I often booked trough them paying the exact same rate as the best available offered by a hotel website. I booked St Regis and Grand Hyatt in Kauai, Fairmont Orchid in the Big Island, Trump in Waikiki, Four Seasons in Miami and St Regis in Rome all with 1 free night plus all the other benefits offered from them. I was also upgrade to a better room in every single occasion. You don’t need to use your Amex Platinum for payment (but you have to pay with any Amex card) and I got all the points in my SPG stays. Thus, if you find the right property and FHR has a night free it is hard to beat them with all the benefits you get. I am booked for this summer again in some properties where I will stay with my wife and 2 kids for 1 or 2 nights only. The fact that they include breakfast for 2 plus $100 to spend in food per stay means that we all get free breakfast which is very valuable in my case. To follow up on what Eric wrote… personal service is the +1 for using a Virtuoso travel consultant (over FHR or even over Classic Travel’s website). (2) still follow up with the hotels to personally convey your requests and push for an upgrade. (3) Sending VIP emails are a standard part of my SOP for each hotel booking. FHR doesn’t do anything of the sort. (4) As Gill says, many of us have personally visited many of the hotels in the collection — and can help advise where to stay. (5) Further, Virtuoso travel advisors and key individuals in each hotel’s management have developed relationships over the years. If you have a well-connected agent, you’ll probably find that upgrades happen more frequently. (6) If you ever want an exception made or a special favor – or if there’s a complaint you want corrected right away – good luck with FHR’s phone agents. This isn’t part of their job description. This is funny. I literally had a conversation with my Virtuoso agent this morning about a property in S.F. that was quoting her $349 a night (with free breakfast, $100 F&B credit, etc). I found a flexible $270 rate on the property’s website that included free breakfast. Just to round out my options I checked FHR– FHR was offering $270 with breakfast, $100 F&B credit, and guaranteed early check-in and late check-out. My Virtuoso agent told me the hotel wouldn’t match for her, so she encouraged me to go ahead and book FHR. It’s worth checking your options through both avenues as well as the flexible rate offered on the hotel’s website– in my experience it depends on the property but generally Virtuoso can match/get you the best rates… just surprising this time around it was FHR and not Virtuoso who could get me the best rate. For Virtuoso it’s pretty simple. You can check rates at classictravel.com. I had a really good experience with FHR on a recent trip to NY. The upgrade alone was super worth it! Then they threw in a decent daily breakfast for two; a free night; late check out/early check in; a free night; and $100 food and beverage credit. So I was pretty happy because it was already a nice property and the stay itself was really pleasant. Especially on a business trip, I was so glad to have a good experience. How about something like FSPP. 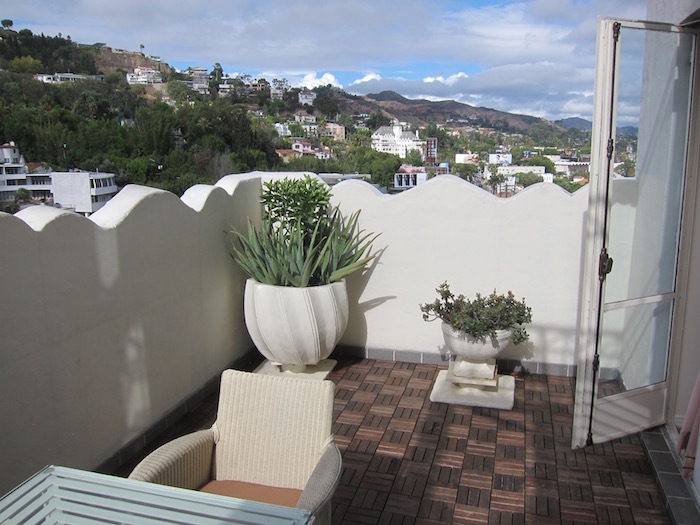 When you stayed at the FS Santa Barbara, why did you do Amex Plat instead of going through an FSPP agent? You can also search for local advisors on the virtuoso website. I know there are rumblings about making it possible to book hotels online through your trusted Virtuoso advisor, but I have not heard how far out that is – I know it will not be done in 2016. It would be fantastic to have, but we are not there yet. Regarding prepaid rates, I have had some success with getting those for clients, but to be honest, it has never been with a big chain property, like Intercontinental, Park Hyatt, etc. It has been with boutique properties or local chains. It is a fair question to ask when working with an advisor though. For your experience, does most hotels in FHR & / or Virtuoso, practice at least 1 level upgrade, and if we book i.e. 1 level below Club Rooms, we can get Club Rooms with Club Access, or 1 level below Suite, we can get the next level which is the Suite? Is that a consistent thing, and if FHR or Virtuoso is better at ensuring such an upgrade? Definitely depends on the individual property (and occupancy), but for both FHR and Virtuoso, I’ve seen both happen before – upgrades to club level as well as upgrades 1 level up to a suite (or better suites if a basic suite is booked). Did you have a specific property in mind? If so, one of us might have direct experience we can share. So it is helpful if i can book a rate just below Club/Suite, and get the upgrade I wanted (I consider that as a discount), and also enjoy the perks just like a top-tier member status via other FHR/Virtuoso benefits. But in the past, I have heard of stories like “we can upgrade you to club room, but no club access benefits”, or “upgrades do not apply to suites”. So I wonder which is more likely of the 2, and if Virtuoso agents can advise if it is one of the negative scenarios before we book for that particular property, and if FHR or Virtuoso is better at ensuring upgrades. Given the places we book and the reasons the agents have listed above, I generally prefer Virtuoso. 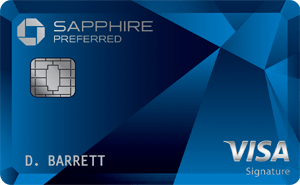 From a points perspective Virtuoso is preferable as you can use any card which can be significant if you get additional miles (for hotel or travel) or you’re trying to make a spend requirement for a new card. However, I agree that it depends on the property. I must say I’ve generally foundan agent the better way to go, particularly for Four Seasons Preferred Partner Rates, the amenities are better than FHR (full breakfast etc)and they get upgrade priority. However, if I needed the 4pm check out I’d go with FHR, next week I’m heading to Rosewood Georgia in Vancouver and I booked via FHR. They were able to match the third night free that Virtuoso had by calling the hotel and asking them, I went with FHR because they offered a better breakfast and their hotel credit was in USD not Canadian dollars. @flying fish – It depends on the individual property as they all have slightly different policies, even within Virtuoso. For example, for one of the best InterContinental properties in Europe (just had an inquiry), they offer a 1 category upgrade confirmed AT TIME OF BOOKING if available, regardless of category booked. If you booked a Superior room, you’d get upgraded to a Deluxe Room. If you booked an Executive Room, you’d get upgraded to a Studio Suite. A 1 Bedroom Suite would be upgraded to a Deluxe Suite, etc. Also, all Virtuoso bookings are given full access to the Club InterContinental lounge at this property. I am here to speak up for classictravel.com that Daniel wrote about. As he explained the website allows you to book Virtuoso rates online. I am a Travel Agent with classictravel.com and I promise you that booking through out online site, you will still get personal touches like welcome amenities, etc. Just reach out to us and let us know whether you are traveling for a special occasion, etc. If you want, you can book through my backslash http://www.classictravel.com/ania and I will be alerted to your booking. I will then reach out both to you and the hotel and make sure that your stay is flawless. I often get special welcome amenities, anniversary or birthday treats and upgrades for my clients. Also, in addition to the Virtuoso properties, we also have our own partners loaded online that also come with extra perks. And if you have any questions or want to book (Lucky feel free to delete if this is not appropriate), you can contact me at ania at classictravel dot com. I have a question about the Amex FHR complimentary third night. I recently booked a 3 night stay at a hotel in London and while I was going through the booking process it said that the average nightly rate would be 238 GBP/night for a total of 714 GBP. I received the confirmation email stating the estimate costs for the three night stay of 714 GBP and just below is stated “Complimentary Third Night: The value of this offer will be applied to the total billing amount at hotel checkout, and is not reflected in the estimated cost above. See My Trips for any additional promotion information.” I have read that the third night room charge is removed upon check out and assumed that I would be paying 714 GBP – 238 GBP (complimentary night) = 476 GBP. I contacted the hotel to receive a confirmation email and that email showed that the first and second night were 357 GBP and the third night “Complimentary”. This would make is seem that I will be pay 714 GBP because removing the third night which value is 0 would not change the price. Has anyone else had this experience before? 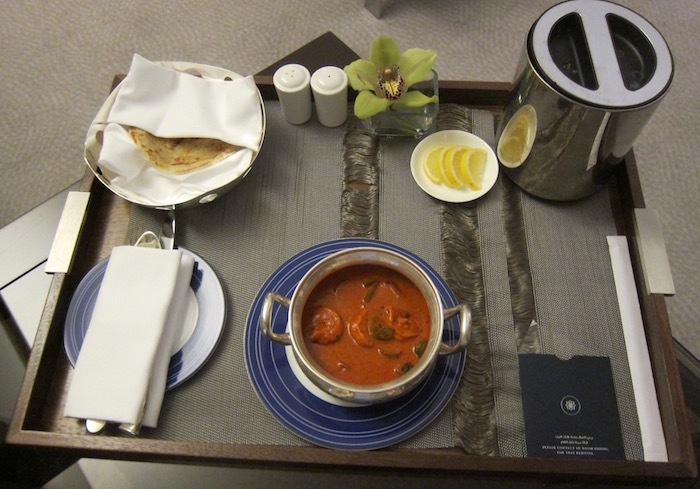 Hi, Am Ex Centurion just booked me 4 nights at the St Regis via FHR. I received my Starwood Gold amenities and the FHR 4th night free and $200 credit, but when i called Starwood corporate to ask why I wasn’t showing stay credits towards my platinum status (which i’m 2 stays away from on Dec 24th), Starwood corporate told me that Am Ex bookings do NOT count towards Elite status stays or nights. I’ve never heard of this before and you wrote above that in fact they do. Could someone please help?